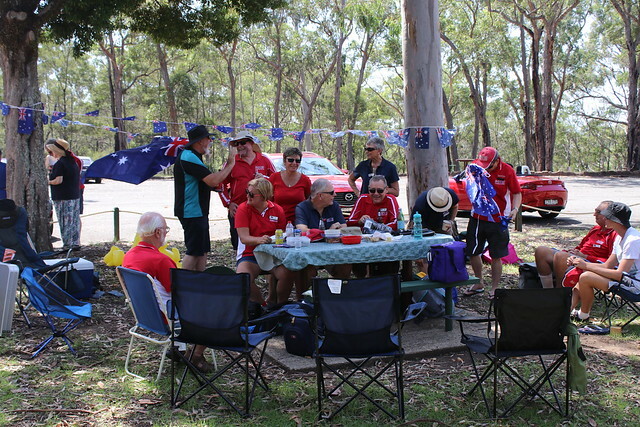 Our traditional Australia Day Picnic has been a regular event in the club calendar for the last six years. You can read about them at these links: 2014, 2015, 2016, 2017, 2018. 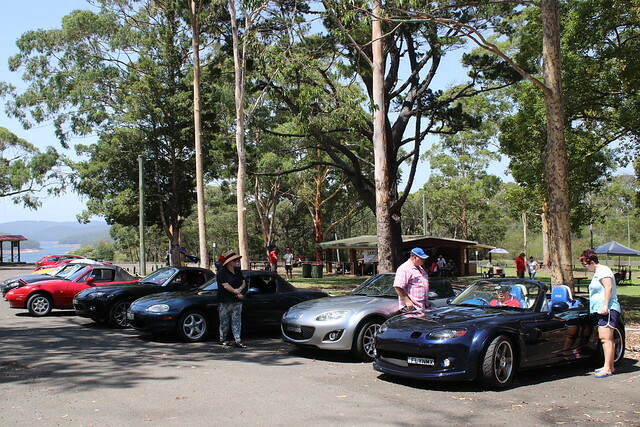 Cordeaux Dam is a great venue with a large parking area that readily copes with our hoard of MX-5s. The facilities are excellent with picnic shelters, tables & chairs, electric BBQs and plenty of shade under the trees to set up picnics. Little wonder that we keep returning! 17 members joined the Illawarra Chapter run starting from Figtree McDonalds for a delightful drive to Mount Kembla, through the escarpment rainforest to Mt Keira and then a quick blast up Picton Road to Cordeaux Dam. 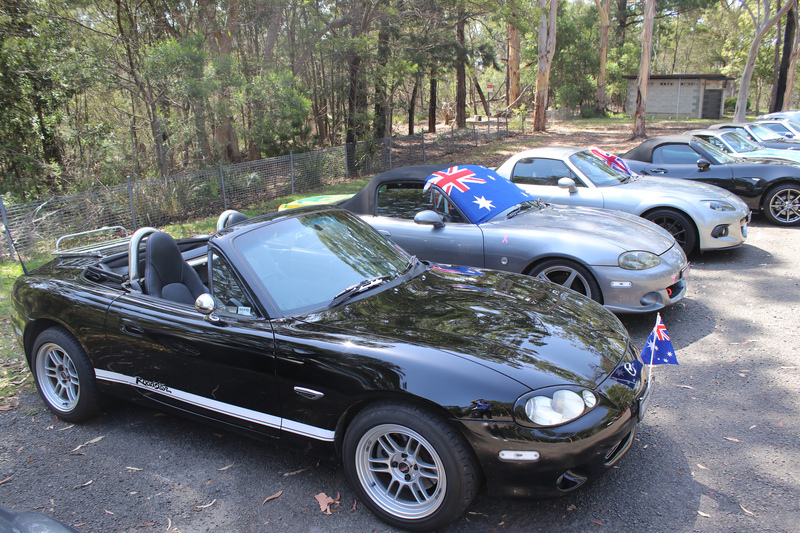 We were the first group to arrive but some other MX-5ers had already made their own way there. Fiona and Alex Shedden unselfishly skipped the run to arrive at gate-opening and claim our favourite spot. Paul Byers towed his homemade BBQ-trailer and it was ready to go. Mel Keller had arrived early too with a group of members scheduled to participate in a photo shoot for Mazda Australia - watch out for a forthcoming feature in Zoom Zoom magazine. 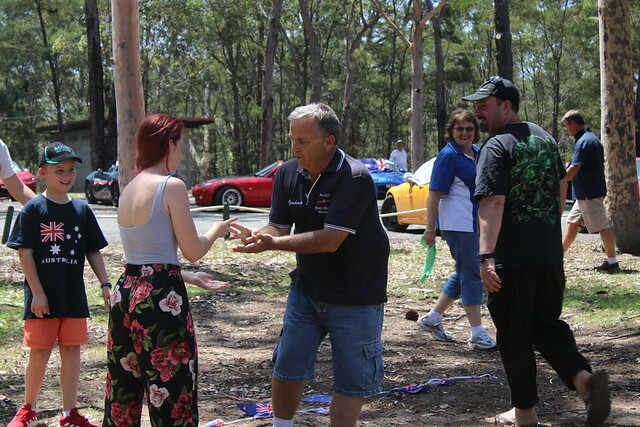 The early arrivals were soon joined by 13 from the Sydney Chapter run, 16 from the RPM Chapter run, and a steady trickle of other members who made their own way, bringing the tally to 80 people, including 8 visitors. It was wonderful to welcome Rob & Mary and Greg & Yvonne from Hunter Chapter, who had made there way down to join us that morning. 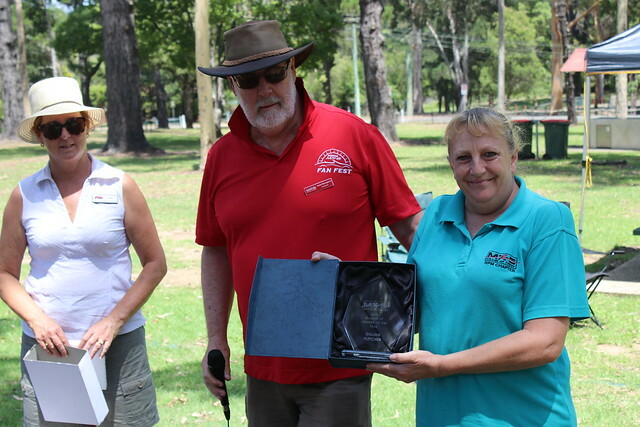 It was a fair swap with John & Sharon and Trevor & Theresa from RPM Chapter celebrating Australia Day with Hunter Chapter at Lake Macquarie. 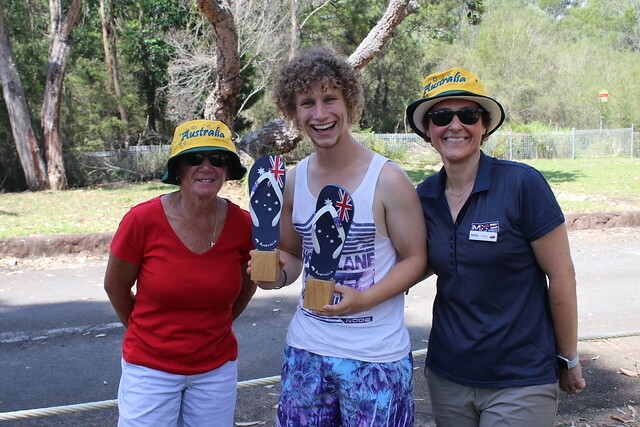 On an already hot day that would only get hotter, our scheduled activities got underway with a Thong Tossing Competition organised by Tanya Badovinac and Kim Ranger. 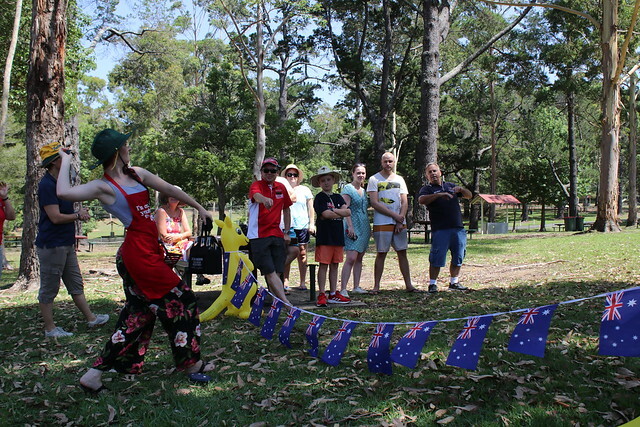 Each competitor first had to dress themselves in Aussie paraphenalia consisting of a cork hat, BBQ apron and BBQ tools, before attempting to throw a pair of thongs - one attempt for each matching hand. A raucous crowd cheered on the competitors as the flip-flops flew in (mostly) forward directions. One of our visitors impressed all with a pair of immense throws that defeated all others and he was delighted to claim the impressive trophies. Next up was the Wacky Races, with six teams for four people vying for glory. 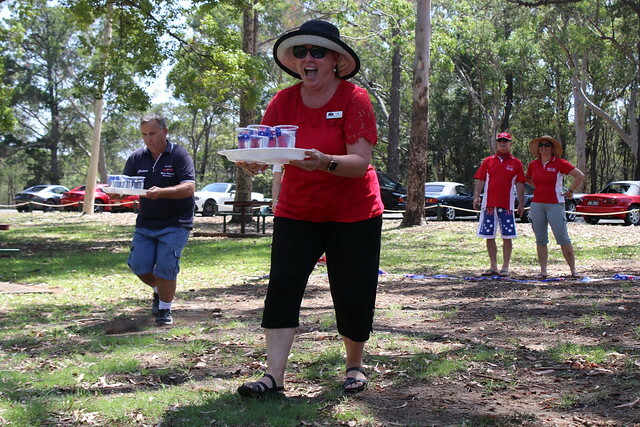 First event was a waiter race with competitors relaying a tray of drinks across a 20m course. I pity those who have to drink at the venue served by some of our waiters if you prefer to have your drinks without fingers dipped in them - at least they gave rapid service. 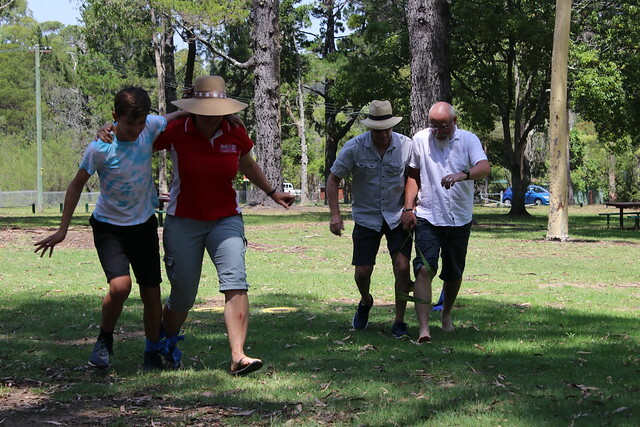 Second event was the three-legged race which saw a couple of teams retire early claiming physical incapacity. The third and last event was a scissors-paper-rock war. In this game, two teams face each other at each end of the course. One player from team hops forward and when they meet in the middle, they play a game of scissors-paper-rock. The winner gets to hop forward while the next player on the losing team starts and the process repeats when they meet. The winner is the first team to reach the other end. 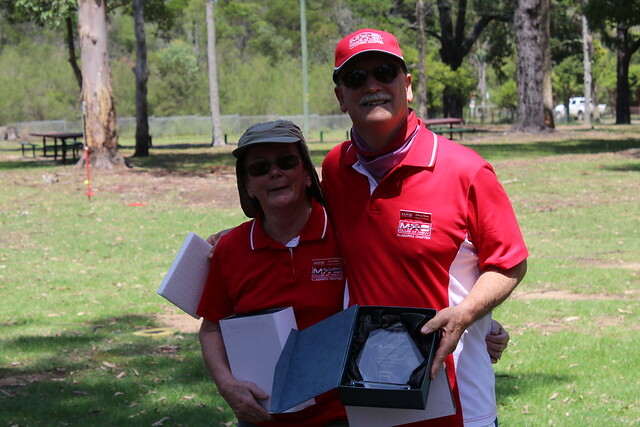 After all three events were completed, the winners were "Hunter and Ring-ins" were presented with a box of Favourites chocolates. Now it was President Keith Monaghan's turn to make some announcements with our 2018 Member of the Year award winners for the whole Club. Congratulations to Andy Bottomley (Member of the Year), Gillian Fletcher (Runner-Up Member of the Year), and Jeff & Pam Rowe (Runner-Up New Member of the Year). Time for lunch, and the BBQs were fired up for a feast. After lunch, I tried to raise interest in the MX-5 Packing Challenge. This event was a huge hit last year. Sadly everyone decided it was too hot and there were no takers. With bellies full and conversation ending, we called it quits on another very successful Australia Day. 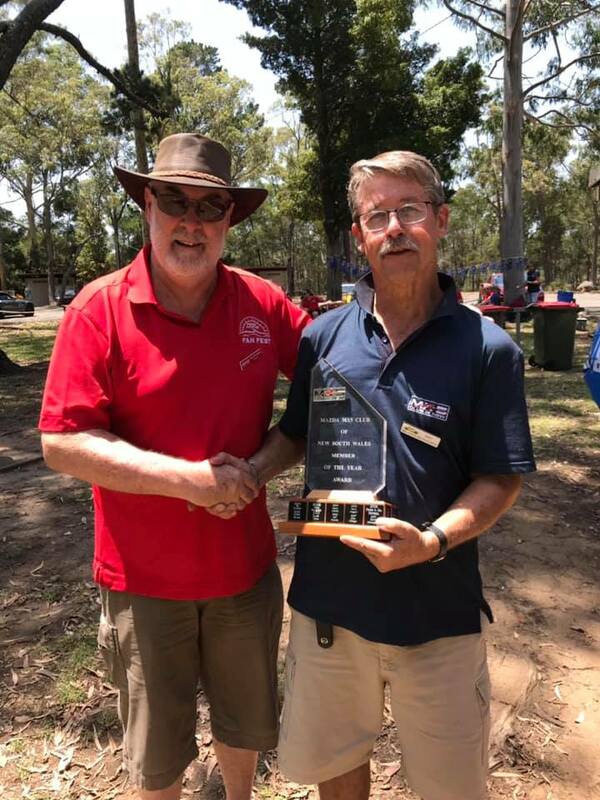 I have organised all six Australia Day Picnics since 2014. Now it's time to pass on the job to someone else. If you are interested in organising it on behalf of the Club, please contact me.